Also known as the “Cavallino della Giara” (The little horse of Giara), it is originally from the highland region of the same name, in Sardinia. Little is known about its origins. Probably it was brought into Sardinia by the Greeks in the 5th or 4th century B.C., at the time of the nuraghe. It is accustomed to grazing free in its difficult native terrain. 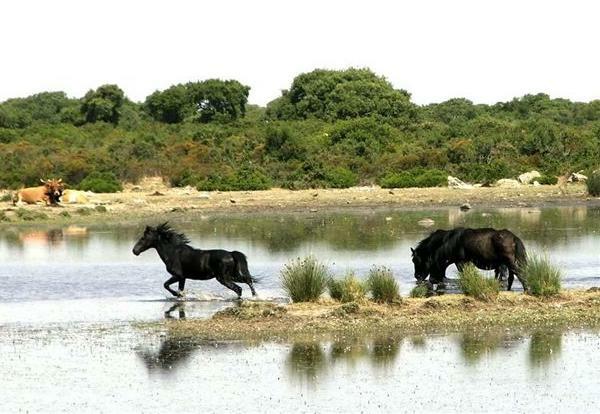 To save the horse from extinction a breeding and re-populating centre was set up in 1971, at Foresta Burgos in Sardinia. This was established by the “Istituto di Incremento Ippico di Orzieri” (the Orzieri Institute for Horse Breeding) and used horses selected from the grazing herds. This breed is tough, strong and agile. It can be used for herding sheep or, if well-trained it makes an excellent mount for young riders. Height at the withers: approximately 125-135 cm.